Fibtec, India is the unit of M/s. Tiaano –� an ISO 9000-2000 company. 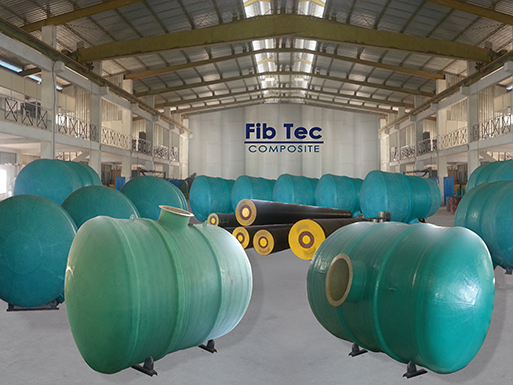 Fibtec is mainly focusing in manufacturing Steel-FRP Mandrels for Fiberglass Filament Wounded Pipes conforming to AWWA C-950, BIS 14402 and BIS 12709 standards. Our Mandrels are manufactured with steel core and FRP overwrap which is taper finished by grinding. We also manufacture Steel-FRP mandrels for GRP Pipe couplers, and collapsible FRP Mandrels for large diameter GRP Pipes and tanks. We also make GRP pipe testing equipments like hoop tensile tester, stiffness tester and long term pressure testing equipment.